Recently I have been experimenting with a dairy and cane sugar-free lifestyle. Dairy and sugar are actually two of my favorite food groups, but they tend to really upset my stomach. So, I am on the hunt for recipes that fulfill my cravings without hurting my tummy. Ice cream was at the top of my list. Coconut milk and coconut sugar combine with vanilla to make a delicious diary-free, sugar-free ice cream. The coconut sugar gives it a slightly carmel hue and flavor. YUM! This recipe is very versatile, as you can make it vanilla, chocolate, or peanut butter flavored! It’s also super easy. In a pot over medium heat, add coconut milk, sugar, vanilla and cocoa powder (if desired). Stir. Allow to simmer until thickened slightly, about 8 minutes. Place in a container and refrigerate until cold, about 4 hours. Add to an ice cream maker and churn until set, about 15 to 20 minutes. Transfer to a storage container. If using peanut butter, layer ice cream and peanut butter in four layers. *Cheaters note: You can skip step 3 if your ice cream maker can get cold enough to freeze the warm mixture. I let my mixture cool on the counter for a bit and my Kitchen Aid Ice Cream Maker takes about 30 minutes to freeze it. 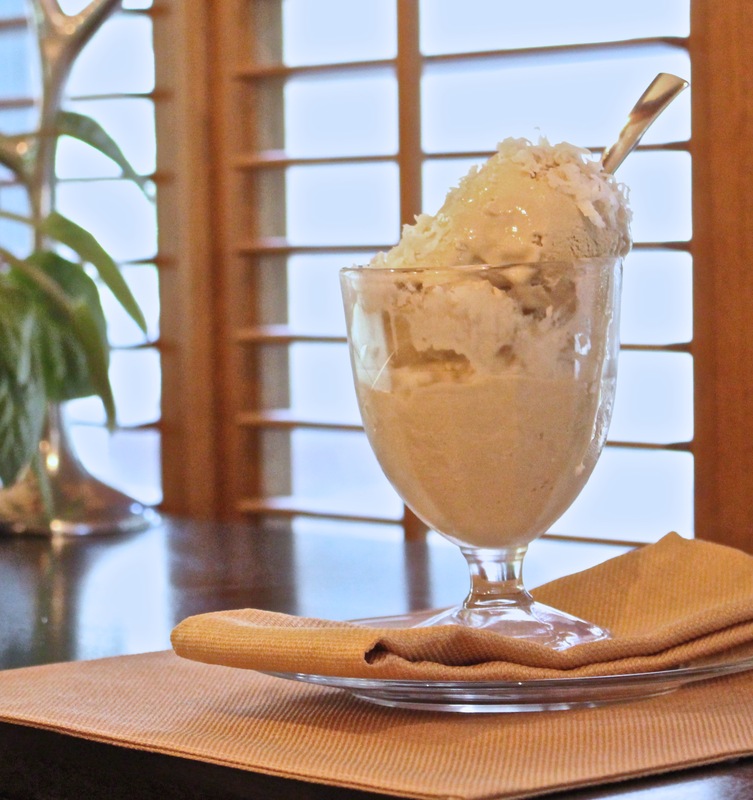 Coconut milk gives this ice cream a very rich and delicious texture. Coconut sugar adds a carmel flavor and coloring. You’ll notice that even your vanilla ice cream won’t be bright white. My favorite flavor so far has been chocolate, but they are all an amazing treat! Serve with toasted coconut, crushed peanuts or cocoa powder on top. Enjoy! If you know of any other sugar-free, dairy-free, and (while I’m at it) yeast-free recipes, please send them my way! I would love help in the idea department.